"We … commemorate World AIDS Day to show our support and commitment to helping those who are living with the disease and to remember those who lost their battle with HIV/AIDS in our country and around the world." 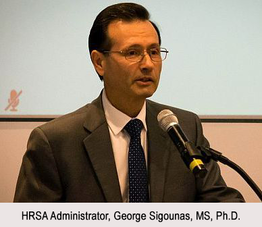 - HRSA Administrator, George Sigounas, MS, Ph.D. This World AIDS Day, new data show HRSA's Ryan White HIV/AIDS Program continues to drive progress toward ending the HIV epidemic. On November 29, the 2016 Ryan White HIV/AIDS Program Annual Client-Level Data Report was released providing an in-depth look at the demographic and socio-economic factors among clients served by the Program. The Ryan White HIV/AIDS Program provides a comprehensive system of HIV primary medical care, medication, and essential support services for low income people living with HIV. In 2016, approximately 85 percent of Ryan White HIV/AIDS Program clients were virally suppressed, up from nearly 70 percent in 2010. This exceeds the national average of 55 percent virally suppressed. 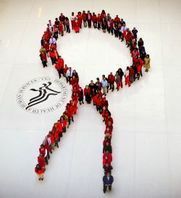 Read more about World AIDS Day at HRSA. Read the Ryan White HIV/AIDS Program Annual Client-Level Data Report, 2016 (PDF - 892 KB). Noting that HRSA recently invested $203 million in health centers and rural communities to help fight the opioid epidemic, Dr. Sigounas said: "While the purpose of National Rural Health Day is to celebrate the efforts and contributions of rural America, it is difficult to think about rural health and not acknowledge the opioid crisis." One response to the crisis, conferees said, is Project ECHO -- a new emphasis on telehealth as a means to deliver clinician training, patient consultation and case management to geographically isolated communities where hands-on care is scarce. Read more about telehealth and rural America. 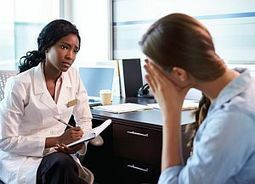 HRSA's new gateway to behavioral health provides information on how HRSA programs are incorporating mental health and substance use treatment into service delivery and training. Learn about behavioral health initiatives involving HRSA-funded safety net providers and training/education grant programs. You'll also find a wide range of technical assistance resources on integrating behavioral health and primary care. Use the Behavioral Health Treatment Services Locator to find the nearest behavioral health organization or HRSA grantee that provides behavioral health services in your community. Check out the new behavioral health resource. 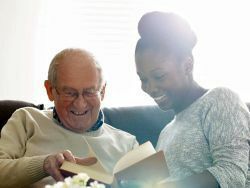 Find out more about HRSA’s new learning modules to help family and other caregivers of people living with dementia address the challenges of caregiving. The modules are a supplemental resource to HRSA’s Alzheimer’s Disease and Related Dementia’s Training Curriculum that trains the primary care workforce about dementia care and helps providers address caregiver needs. Intended for health professions faculty and students, primary care practitioners, and direct service providers, the curriculum and supplemental modules promote inter-professional teamwork in the care of persons living with dementia. Check out the new learning modules. The FDA issued a safety communication in 2013 alerting health care providers, health care facility staff, and caregivers to these safety concerns. From 2011 through 2016, the FDA has received over 700 reports of a hospital bed mattress cover failing to prevent blood or body fluids from leaking into the mattress. Register for a Healthy People 2020 Progress Review webinar featuring early and middle childhood & adolescent health. 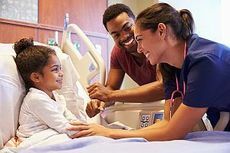 The Progress Review webinars focus on tracking and measuring the progress of select Healthy People 2020 objectives throughout the decade.